The modern day SUV has been redesigned and reworked over and over again. 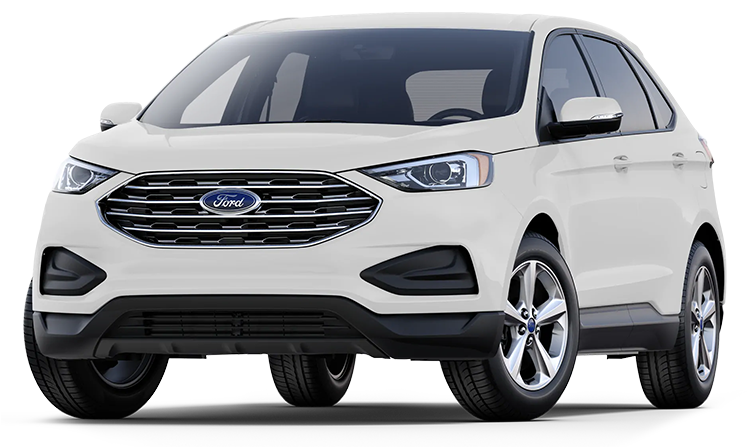 The Ford Edge was no exception to the redesign and this year's Edge can boast some serious renovations. The Edge’s interior has been reworked to fit the more modern day driver. Leather-clad seats have been fitted to the Edge’s already sporty interior, among comfort and style, technology is another trait that the Edge excels at. Ford’s Sync3 has been implemented into this year’s vehicle, and is capable of doing just about everything you’d expect from a vehicle’s technology HUB and then some; navigation, music, phone calls/text messages just about everything one could hope for to make their driving lives, that much easier. The exterior of the Edge has an aggressive design, with bold body lines and countless options for customization with up to 7 different wheel designs the time is now to make this Edge yours. To help accent the already impressive interior and exterior design this year's Edge has been fitted with three different engine styles for you too choose from.